Home Opinion Should We Cash In On Kranjcar? Should We Cash In On Kranjcar? The Times reported yesterday that Monaco and two unnamed Premier League clubs were interested in buying Niko Kranjcar in January. There have been follow-up stories from various put-two-and-two together merchants, linking Niko with a swap deal involving Steven Pienaar and then a statement from Kranjcar himself, claiming that he’s willing to fight for his spot in the team. I was a big fan of Niko last season. He came into the side and made us miss the injured Luka Modric a little bit less and was one of our few midfielders who was capable of scoring a goal. We figured that he’d be back-up to Modric on the left of midfield, or that the Croatians would occasionally be paired together, with Modric in a central position. What no one accounted for was the rise and rise of Gareth Bale, who has made the left flank his own. Now Kranjcar finds himself behind both Bale and Modric. He’s not started a single game this season, despite the fact that we’ve played loads of matches. Most pointedly, he was even left out of the starting line-up to face Arsenal, even though it was jam packed with youngsters and fringe players. Has he fallen completely out of favour with Harry? It seems unlikely. Redknapp always talks about Kranjcar as the model professional and has been his manager at two different clubs. I remember an old interview with Harry from back when they were both at Portsmouth. He admitted that he had considered changing his formation, to build his whole team around Kranjcar in a five-man midfield, because he rated the player so highly. It sounds very similar to the position that Van der Vaart is currently occupying in the Spurs side. Would Niko work as a deputy for VDV in that position? Probably not, but only because Crouch with Kranjcar just behind him would make for the slowest attack imaginable. If we had a properly athletic lone striker though, it could be a different matter. There’s just not going to be many opportunities for Kranjcar unless we get injuries, but this is Tottenham Hotspur and eventually we are going to have some injured players who aren’t centre backs. It’s vital that we keep quality reserve players and I’d rather call on Kranjcar in a crisis than either Bentley or Dos Santos. However, if he still has hardly played a match by January, it’s likely that he’ll be getting itchy feet and there will be plenty of suitors. Kranjcar cost us peanuts, but would command a fair fee on the open market. He’s got to be worth around £8m. That sort of money is always useful, but I can’t imagine us doing much business during January, so it would be better to see where things stand at the end of the season. As for the Pienaar rumour, I can’t see how that would actually be much of an improvement to our squad. Maybe I underestimate the South African, but like Kranjcar, I can’t see him as a regular starter. So what do you think? Keep Kranjcar or cash in? It may be well and good saying “yes” now 6 weeks into the season, but when lennon pulls that groin again, and Bale&VDV keel over with exhaustion around November, we’re going to need that strong bench/squad. The answer to this his a big no last year the lad played on with a bad injury and this showed me he his a true Spurs player. 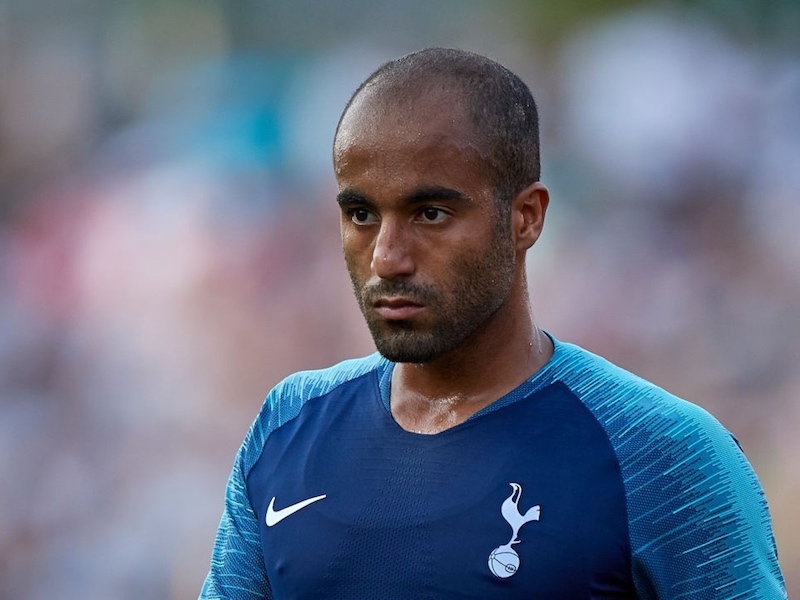 every team that wants to be at the top or near it needs talented bench warmers.the problem at spurs is the amount of players who are earning big money, but dont have the consistant form to justify wages or selection.kranjicar is not among this collection.he has to move up a gear when he plays for the team.the talent is there. This should be a no brainer………NO! He is a true Spurs player and he will get his chance, the way VDV is tearing the place up he will need a rest in the next few games! Harry made an error not playing him against Arsenal (unless he was injured, but I don’t recall that). Kranjcar is a very very useful backup and I agree I’d rather see him coming in than Bentley or Gio. He’s versatile and we will need that squad strength in depth soon. I doubt we’d get £8m for him, but any less than £6m and it would be better to keep him. Helll no he is way too fit to leave spurs!!! Don’t want pinnear but Arteta would be nice and a better option! Krancjar is a very important player for us, I do think Harry believes that he maybe can’t play in the same team as Modric, they never seem to play together despite playing regularly with eachother for Croatia. Harry has recently said it’s difficult for Niko because bale is playing so well, which leads me to think he sees niko as solely a left midfield player. In actuality I personally think he played his best football when modric was out injured drifting inside, so now modric is back why doesn’t Harry rotate the players keeping them all fresh in a 4231 or 4141 formation that way krancjar can play in any of the 3 or 4 behind the striker? He is a very clever attacking midfielder, he gets stuck in when needed and has been a fairly high scoring player over the years. Playing him like Vdv when he is rested will surely bring out the best in him, and the Inter match coming up will be an opportunity for him to start and star.